Cover up! You are EXPOSED! Triathletes spend a LOT of time in the sun. Shoulders, backs, arms, face are exposed for hours upon hours often in the midday sun when the damage potential is greatest. That's why in 2011 pro triathletes Alicia Kaye and Jarrod Shoemaker started Endurance Shield. For Kaye the "aha" moment came in the form of an ultraviolet skin cancer screening at a local school wellness fair where she and Jarrod were speaking. After years of racing and training, her face showed signs of skin damage and precursors to melanoma. For Shoemaker his frustration at not being able to find a sunscreen that stayed on for the duration of a triathlon was the impetus for creating his own product. And thus, Endurance Shield was born! I've been using Endurance Shield exclusively for many years. Why would I do that when there are less expensive options out there? Because skin cancer is a serious threat to endurance athletes. 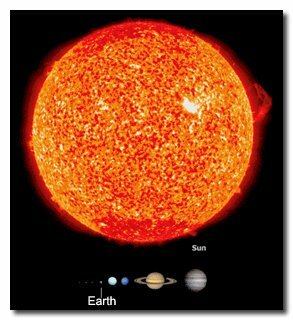 It's easy to feel invincible as a triathlete but remember... you could fit 1.3 MILLION Earths inside the Sun. That is one big, powerful ball of fire. All it takes is a little Endurance Shield to protect you. 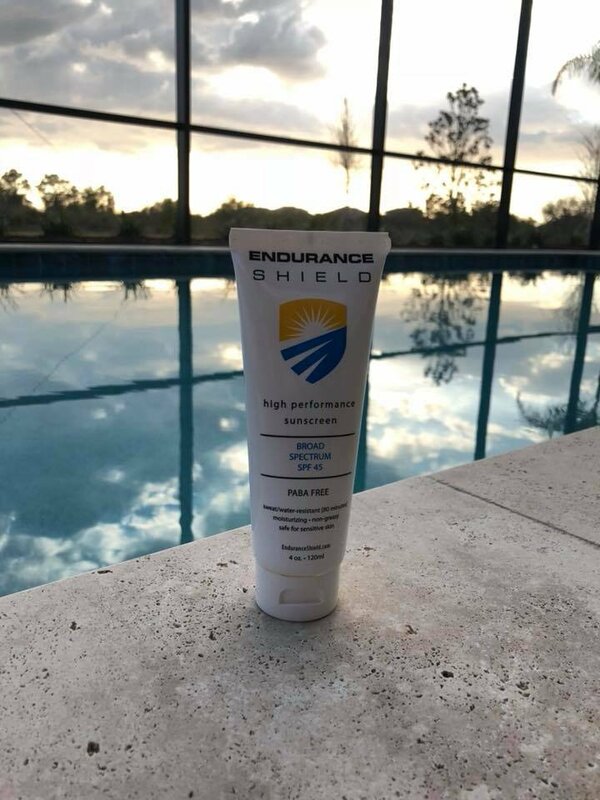 Endurance Shield High Performance Sunscreen is designed to not only protect but moisturize and repair, too. It isn’t just for professional athletes; it’s for health conscious individuals who want a sunscreen that’s good for them, that will endure the elements, and has a short ingredient list so they can feel good about themselves and their loved ones. It provides superior protection from both UVA (aging) and UVB (burning) rays combining the powerful protection of micronized zinc to block the full spectrum of rays up to 400 nm. Feel free to sweat through a workout, even wipe your face or splash in the water! Endurance Shield is waterproof and sweatproof. Endurance Shield High Performance Sunscreen is a light moisturizer as well, so it won’t dry out your skin. It's PABA free, making it safe for sensitive skin and non-comedogenic so it won’t clog your pores! Additionally, it contains antioxidants that help combat free radical damage, which can cause premature aging. Don't take your skin for granted. I won't let you. All subscribers will get a 4oz Endurance Shield High Performance Sunscreen free when you subscribe before April 1st. No excuses! Subscribe now !